The Pacific Northwest Section of The Society of Naval Architects and Marine Engineers held its fall 1980 meeting at Harrison Hot Springs, British Columbia, Canada. The meeting introduced the new officers: Les Coward, CCS Marine Associates, Ltd. of Vancouver, chairman; Bruce H.
Adee, University of Washington, secretary-treasurer; executive board consists of George Salisbury, John T. Mitchell, and Gerald Talbot. The vice presidents include: Thomas Dyer, Foss Shipyard, for Puget Sound Area; Ronald B. Thicke, R.B. Thicke Engineering, Ltd., for B.C. Area; and Donald R. Stevens, Northwest Marine Iron Works, for Columbia River Area. The paper on "Safe Shipping in the Arctic," by P. Noble and E. Daley, Arctec Canda, Ltd., started by presenting the history of arctic shipping as being exploratory. Even up through the present this has not changed much, except the ships are getting more sophisticated. With interest growing in arctic shipping, more problems have been encountered. Some of these include the properties of ice under different conditions; material deterioration due to the environment, and people working in arctic environment. The paper on "Noise Control on Diesel Tugs," by T. Dyer, Foss Shipyard, and B. Lundgaard, DLI Engineering Corporation, reviewed basic noise control problems. The authors then went on to show how the present methods can be used. Construction techniques, arrangement, and materials can be used to reduce noise to personnel. An example of a backfit was shown for its improvements in noise control. Examples were also cited of new construction showing what noise levels can be maintained. 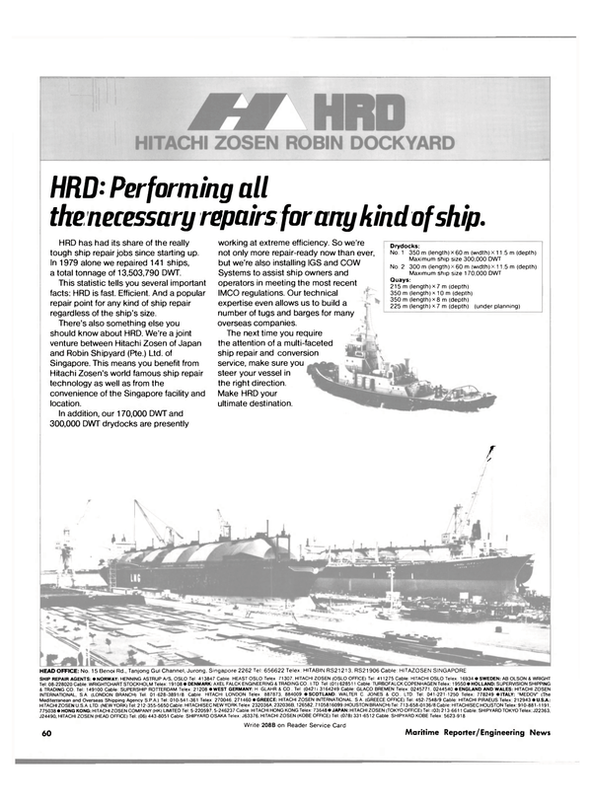 Because of the design requirements of tugs, i.e., high horsepower in a small hull, noise control should be considered in the design.